Knights Cross to the iron cross by C.F. Zimmermann, Pforzheim. 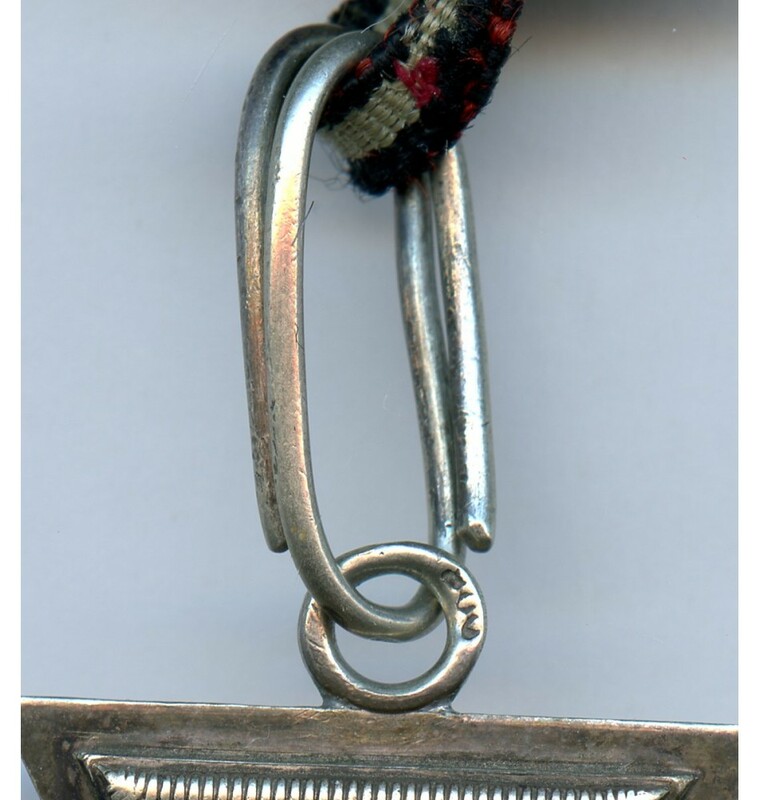 Three piece constructed piece with silver "800" frame (ring) and iron magnetic core. Suspension ring unmarked. Good condition with normal signs of age/wear to the obverse. Very typical glossy Zimmermann paint. Reverse shows age/wear. 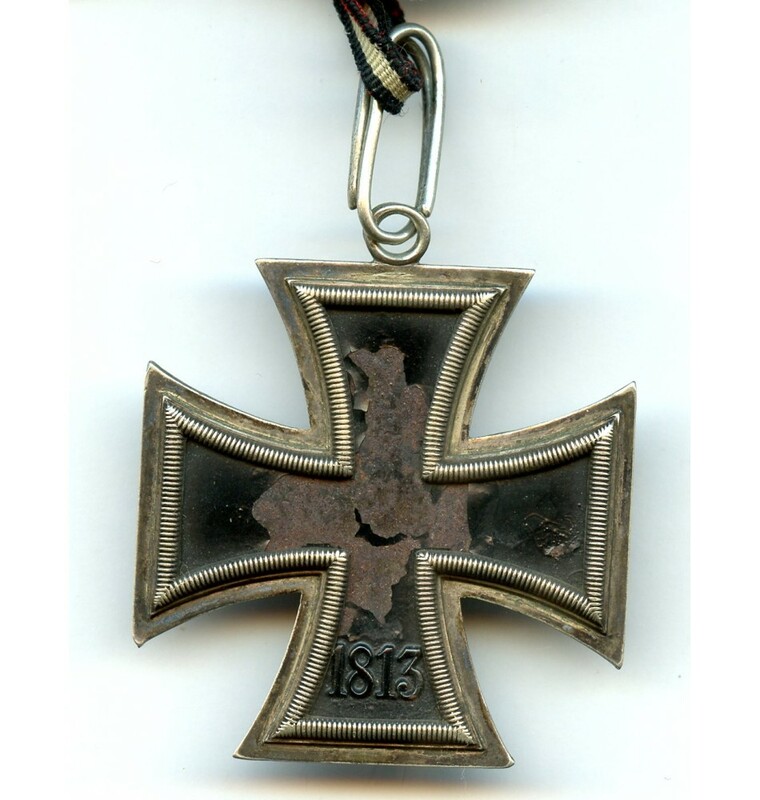 The piece comes with an original modified small size EK2 ribbon that is ment as Knights Cross ribbon. Ribbon signs of age and fits perfect with the cross. 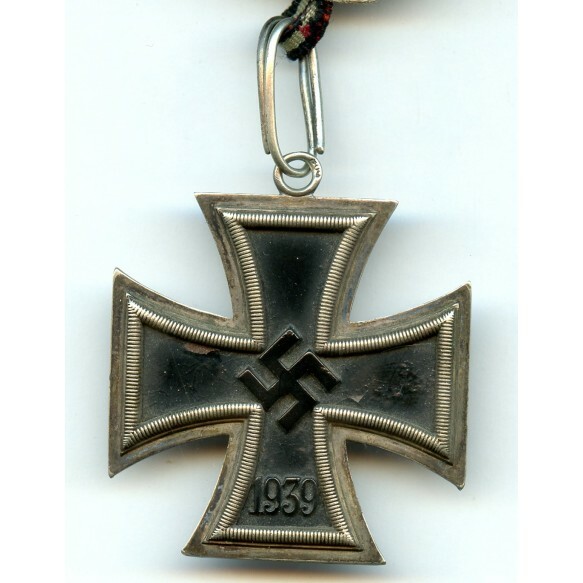 Without a doubt the rarest maker of the Knights Cross!!! Premium piece. 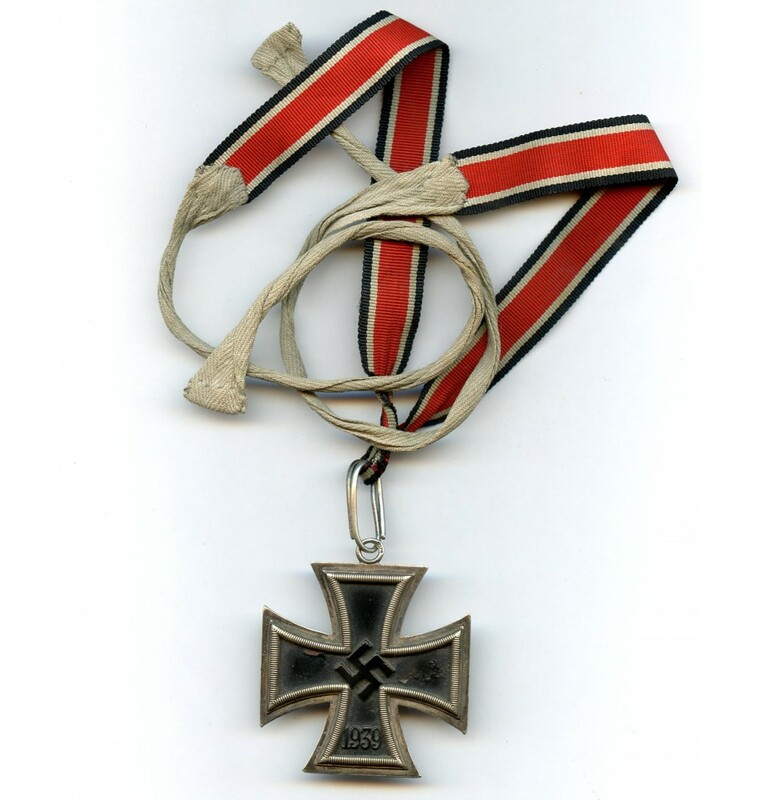 The Cross is attributed to Feldwebel Johann Port and was awarded on 25 August 1942. 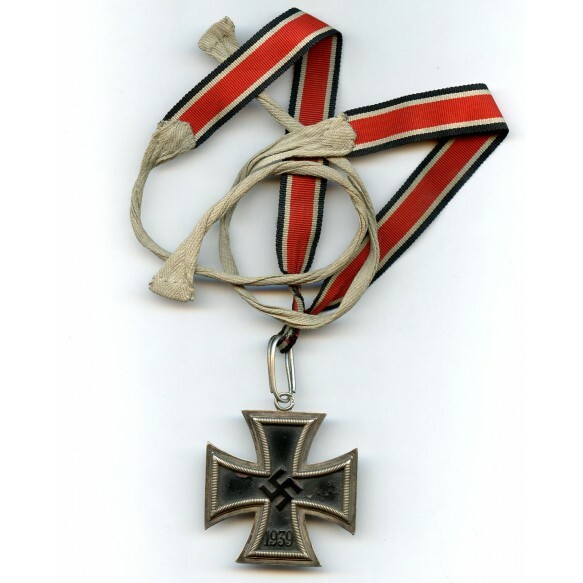 A map of paperwork including all copies of the award documents, soldbuch and private photos come with the cross. Additional Dierich Maerz expertise also included.